Where Pathways Wind & Nerves Unwind-Architecturally Thrilling W/Towering Views Of Pikes Peak, Hand-Built Split Rail Fence, Genuine Stone (Not Cultured) & Stucco Exterior.Dramatic 14 Ft Ceilings, Curved Wrought-Iron Staircase, Custom Etched Glass, Knotty Alder Woodwork, Hand-Carved Douglas Fir Beams, 5" Hickory Flooring, & 5 Stone Fireplaces. The Kitchen Is A Chef's Dream W/Australian Waterfall Granite & 5-Burner Gas Stove. 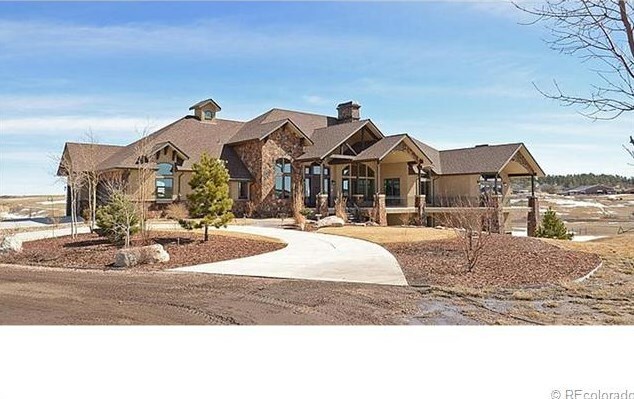 Master Wing With W/Private Deck, Salon, Study, Hot Tub Room W/Skylights. Spa-Like Master Bath W/ Clawfoot Tub & Separate Shower Designed To Feel Like You're Showering in The Middle Of A River. Finished Walkout Basement. Wet Bar and Gym.60X68 Barn W/Loft,Rv Parking, & Room For 12 Cars. 35 Acres With Green Lush Pastures & Wetlands. Well Has 5 Acre Feet Of Water More Shares Can Be Purchased. Driving Directions: TAKE HWY 83 SOUTH FROM FRANKTOWN. GO LEFT ON OAK SPRINGS TO STUCY SIGN. PROPERTY WILL BE ON YOUR LEFT. Above Ground: 3,313 Sq. Ft. Finished Total: 6,058 Sq. 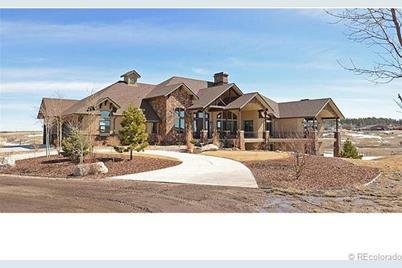 Ft.
9565 Oak Springs Trail, Franktown, CO 80116 (MLS# 1170751) is a Single Family property that was sold at $1,280,000 on July 30, 2013. 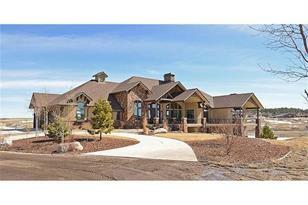 Want to learn more about 9565 Oak Springs Trail? Do you have questions about finding other Single Family real estate for sale in Franktown? You can browse all Franktown real estate or contact a Coldwell Banker agent to request more information.